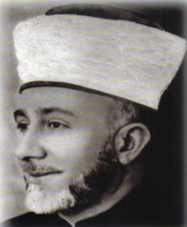 Amin al-Husaini, the Grand Mufti of Jerusalem, remains a controversial figure. The Palestinian leader, who was born in 1895 and died in 1974, first sparked controversy during his lifetime. As an officer in the Ottoman army during the First World War, he implemented the German idea of organizing jihad and terror behind enemy lines. (See my discussion here.) Later, he led the resistance against the British mandate authority in Palestine during uprisings in 1929 and in 1936. He fiercely opposed Jewish settlement. But it is, above all, the Grand Mufti's close ties to National Socialist Germany that are the subject of ongoing debates. From 1941 to 1945, he lived for the most part in Berlin as a guest of the German government. The Nazis provided office space, vehicles and money, so that the Mufti and his entire entourage could stay active. In return, the Mufti used his influence in the Middle East on the Nazis' behalf and recruited Muslims for the Nazi war effort. On the airwaves of Nazi Germany's Arab language radio service, he called for a Holy War, a jihad, against the Allies and the Jews. Some German authors, like René Wildangel, claim that it is still unclear whether and to what extent Amin Al-Husaini was informed about the Nazis' exterminationist policies toward the Jews. In a recent review of Klaus Gensicke's biography of the Grand Mufti, John Rosenthal expresses some doubts as well: noting that the fact that members of the Grand Mufti's entourage visited the Sachsenhausen concentration camp in 1942 is not sufficient evidence for concluding that he also knew what was transpiring in the death camps further to the East. But in fact the full record of the available evidence, including both German and Arabic sources, leaves no room for doubt anymore. Indeed, the Grand Mufti's own words provide the most compelling proof. 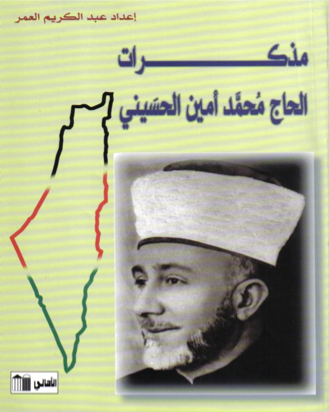 Memoirs of the Grand Mufti, edited by Abd al-Karim al-Umar, were published in Damascus in 1999. (See cover photo below.) In the memoirs, al-Husaini openly discusses his close relationship to SS chief Heinrich Himmler. According to his account, he often met Himmler for tea and during these meetings the Nazi leader confided some of the secrets of the German Reich to him. Thus, for example, in the middle of 1943, Himmler is supposed to have told him that German nuclear research had made great progress: In three years, Germany could have an atomic weapon that would guarantee its "ultimate victory." As Rainer Karlsch's recent book on "Hitler's Bomb" has shown, this assessment was not far off. Himmler presumably confided this information to the Grand Mufti on July 4, 1943. 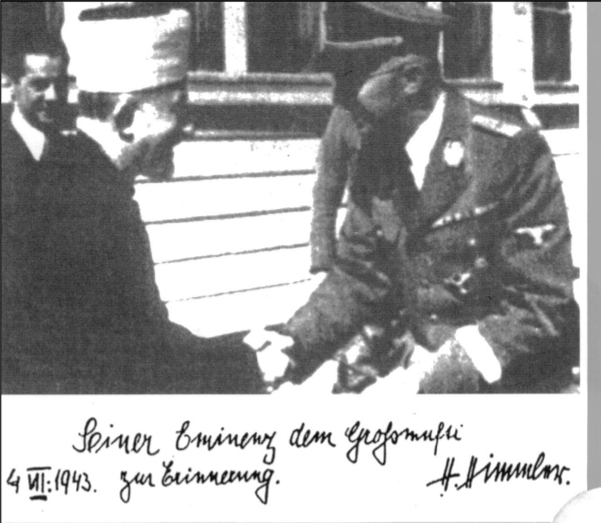 That is the date on a photo of the two men with a signed dedication from Himmler: "to his Eminence the Grand Mufti -- a Memento" (see below). In the memoirs, the Grand Mufti also describes what Himmler said to him in that summer of 1943 about the persecution of the Jews. Following some tirades on "Jewish war guilt," Himmler told him that "up to now we have liquidated [abadna] around three million of them" (p. 126 -- see Arabic excerpt below). There is evidence, moreover, that the Grand Mufti knew about the Nazis' plans still earlier. In 1946, Dieter Wisliceny, a close collaborator of Adolf Eichmann in the "Jewish Affairs" division of the Reich Central Security Office, provided a written statement on the Grand Mufti to the Nuremberg Tribunal. According to Wisliceny, at the beginning of 1942 Eichmann made a detailed presentation to al-Husaini on the "solution of the European Jewish question." The presentation took place in Eichmann's "map room" in Berlin: "where he had collected statistical graphics on the Jewish population in the various European countries." The Grand Mufti, Wisliceny recalls, was "very impressed." Furthermore, al-Husaini is supposed to have put in a request to Himmler to have Eichmann send one of his assistants to Jerusalem after Germany had won the war. The representative of Eichmann was to serve as the Grand Mufti's personal advisor: i.e. when the Grand Mufti would then set about "solving the Jewish question in the Middle East." We can infer from other documentation that this was not just a vague idea. A declassified document on Nazi war crimes from the National Archives in Washington indicates that as of mid-1942 a special SS commando unit had plans to liquidate the Jews of Cairo following the capture of the city by German forces. (See detail below.) Gen. Erwin Rommel was supposedly disgusted by the proposition. The head of the SS unit, Walter Rauff, had earlier been involved in developing vans that served as mobile gas chambers. It should be noted that he was a German and not a Pole, as suggested in the U.S. government document. In his memoirs, however, the Grand Mufti feigns astonishment at Himmler's remark. On his account, Himmler asked him how he would solve the problem of the Jews in his country. Amin al-Husaini says that he answered that they should go back to where they came from. To which Himmler is supposed then to have replied: "Come back to Germany -- we will never allow them to do that." But the Grand Mufti is here white-washing his own role in history. After all, in Berlin on November 2, 1943, he publicly declared that Muslims should follow the example of the Germans, who had found a "definitive solution to the Jewish problem." Wolfgang G. Schwanitz is a historian of the Middle East and German Middle East policy. He is the author of four books and the editor of ten others, including "Germany and the Middle East, 1871-1945." He grew up in Cairo and Berlin, and he teaches at Rider University in New Jersey. The above article had been adapted from a longer article that appeared on the German website Kritiknetz. The full German version is available on Kritiknetz here. The English translation is by John Rosenthal.